For more than 70 years, ASGCA has made its fair share of history as North America’s premier collection of golf course architects. 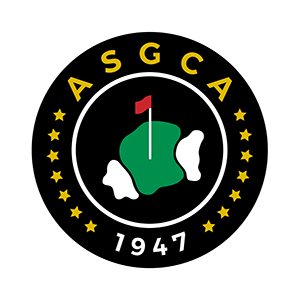 As the society continues to evolve, let’s look back and revisit the great designers, achievements, and stories that have helped shape the ASGCA of today. ASGCA is synonymous with the greatest golf course architects in the sport. Each member has made their own unique contributions to the game we know and love today. ASGCA Legacy Member profiles are your gateway to learning more about the professional accomplishments of those that are no longer with us, but never forgotten. Ever wonder where the Donald Ross tartan jackets idea originated? Who is the longest-serving member? Fun questions like these and many others can be uncovered through our historic timeline. Walk through our history and get a sense for some of the most memorable moments that have defined ASGCA. Secrets of the Great Golf Course Architects offers readers behind-the-scenes tales from ASGCA Members about themselves and their work in golf. Here you will find stories and personal anecdotes related to the creation of some of the world’s most famous courses; run-ins with snakes, bulldozers sinking in quicksand, and many interesting tales.